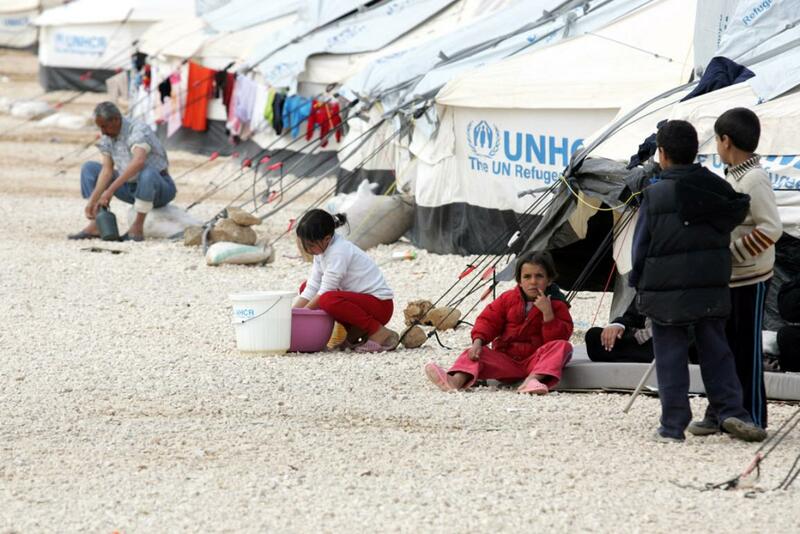 Syrians in a refugee camp: how could their situation be improved? The conflict in Syria has become the world's largest humanitarian disaster since World War II. After almost five years of fighting, 6.5 million people have been internally displaced while 4.6 million have been forced to flee to neighbouring countries. With some 35,000 people thought to have fled Syria's largest city Aleppo in recent days, no short or even medium-term solution is in sight for those affected by the conflict. According to figures from the UN Refugee Agency, by the end of December 2015 Turkey was hosting more than 2.5 million registered Syrian refugees, making it the country with the largest refugee population in the world. Roughly 90% of Syrian refugees in Turkey live outside camps and it is estimated that more than one in two Syrian refugees is a child. The EU is working closely with Turkish authorities, UN agencies and other organisations to meet the needs of the most vulnerable. With the ongoing conflict in Syria, Turkey has also become a transit route for refugees. Last year there were more than 850,000 recorded arrivals by sea to Greece from Turkey, the majority being Syrian. On 3 February 2016, EU countries agreed on the financing of a €3 billion EU fund to assist Turkey in addressing the needs of refugees and their host communities. French S&D member Sylvie Guillaume, vice-president of the Parliament, is heading up a delegation of the civil liberties committee to Turkey this week. Speaking ahead of the visit, Guillaume said: "The main goal of this mission to Turkey is to understand better in order to act better." The delegation will visit refugee support projects and meet NGOs and other partners to assess the situation on the ground. "The list of issues to be discussed will be long: the protection, reception and integration of refugees, resettlement, border management, readmission, visa liberalisation, the fight against smugglers and so on," said Guillaume. She added: "I hope that by the end of the mission we will have an overview of the issues at stake and will be able to advance the most appropriate proposals against the backdrop of the refugee influx and, more particularly, the EU-Turkey partnership". A delegation from the budget committee will also visit Turkey this week to discuss the application of EU funds with authorities there and investigate the use of EU support measures for refugees from Syria and Iraq. The mission will also include a visit to a refugee camp. Speaking ahead of that visit, French ALDE member Jean Arthuis, the chair of the budget committee, said: "We are going to Turkey to listen to the main stakeholders, to review how projects co-financed by the EU budget are being implemented and to evaluate their effectiveness. This crisis calls for an ambitious and coordinated response, in cooperation with UN agencies, the member states, NGOs and of course the Turkish authorities." Click here for daily updates on this week's visits by MEPs to Turkey.